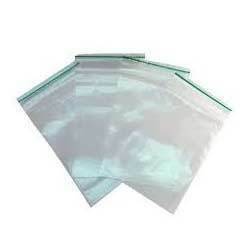 Manufacturer of a wide range of products which include pe ziplock bag with hanger, pe ziplock bag with hangers and zipper bags. The premier aim of our company is to render complete customer satisfaction with this passion we bring forth a range of PE with Hanger Attached Zipper Bags. These bags are added with additional hanger like holders and are made of 100’% biodegradable material are known for their durability. Minimum Order Quantity- 10000 Pieces. We utilize the best quality low-density polyethylene and sophisticated technology in manufacturing process of this bag at our ultra modern manufacturing unit. Moreover, this bag is available in different sizes, dimensions and thickness to fulfill the diversified demands of our valued clients. 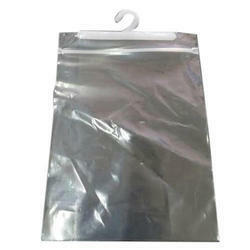 Looking for PE Ziplock Bag with Hanger ?